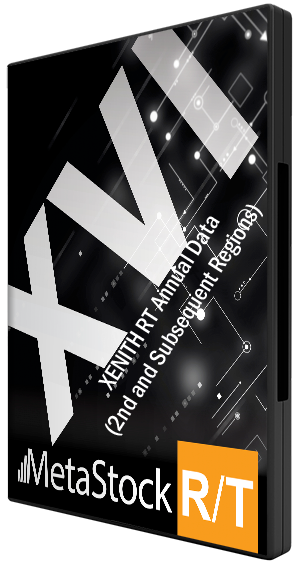 PLEASE NOTE: This is for the second XENITH data region only and is available at a 50% discount. The standard XENITH data that feeds Metastock RT is 20 minutes delayed streaming data; this data can become live by paying the exchange royalty fee for individual exchanges in your selected data region. As an example the ASX live data royalty is currently $US17.00 per month.